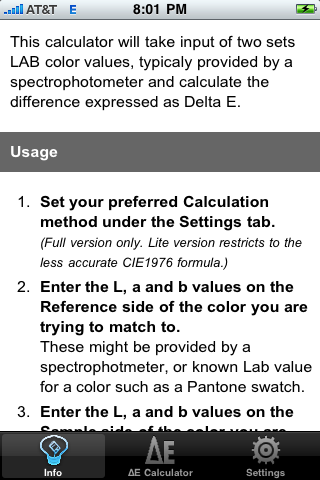 This calculator will take input of two sets LAB color values, typicaly provided by a spectrophotometer and calculate the difference expressed as Delta E.
Set your preferred Calculation method under the Settings tab. 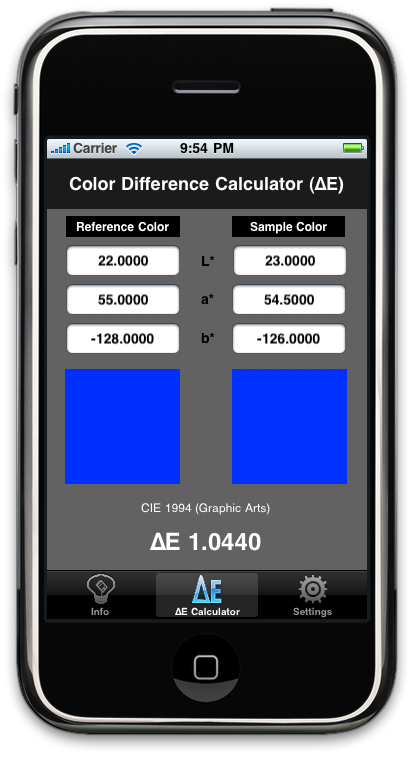 Enter the L, a and b values on the Reference side of the color you are trying to match to. These might be provided by a spectrophotmeter, or known Lab value for a color such as a Pantone swatch. 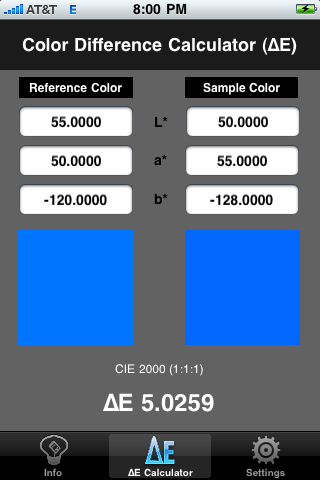 Enter the L, a and b values on the Sample side of the color you are comparing. Again, these might be provided by a spectrophotmeter, or known Lab value for a color to determine its similarity to the reference color. 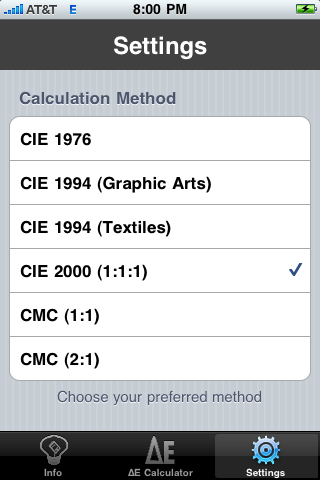 The Delta of the specified method will display under the color chips. Delta values less than 1 are generally considered indistinguishable unless the colors are touching.